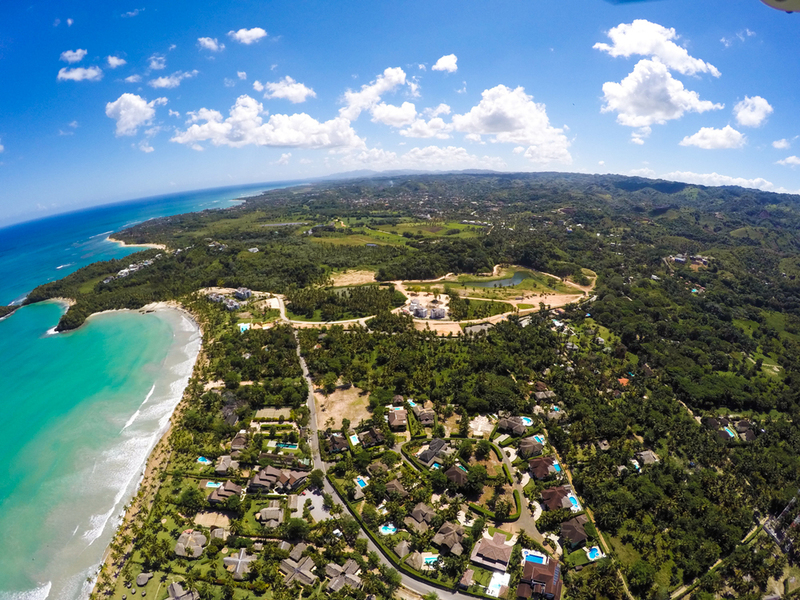 Playa Bonita Beach Residences is a master-planned, gated residential community. The Master Plan has been conceived by the prestigious US architecture firm EDSA under the direction of Doug Coleman and Andres Montero, with the collaboration of Cristobal Valdez & Associates firm as its local counterpart. Further collaboration and updates to the Master Plan by local architecture firm D'Alessandro & Associates. With 1,000 feet (300 meters) of pristine beachfront, the development spans across more than 80 acres (337,000 square meters). Over 215,000 square feet of lagoons (20,000 m2), and three small hills rising over 200 feet above sea level. It will involve the development of around 500 housing units. The community will include condo apartments, villas, bungalows, a commercial area, and recreation areas. Everything has been designed with eco-friendly criteria, a vision to minimize the environmental impact and preserve the natural state of the property. 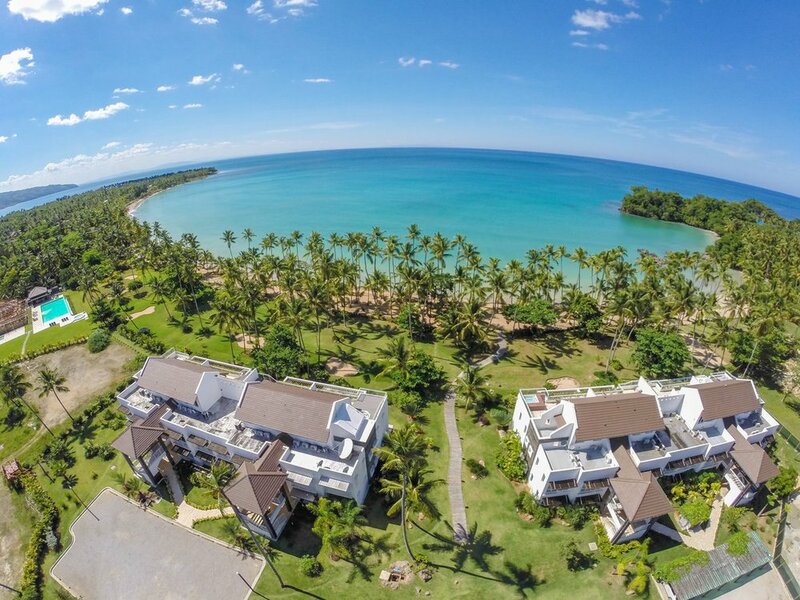 Shared amenities within the community include: Beachfront Clubhouse, Infinity Pool, Bar & Restaurant, Sports courts, Helipad, Dry-dock for small boats, Jogging & Bike trail. ( 1 ) Beach Clubhouse is a shared amenity for all owners at Playa Bonita Beach Residences. It has a 25 feet long pool with infinity view to the beach. There is also a sun deck, a jacuzzi, and children's pool. The restaurant is schedule to begin operating late 2016. ( 2 ) Playa Apartments: The area designated as Playa Apartments is comprised of low rise, two-story and three-story buildings with breath-taking ocean views. These residences are the closest you will get to living at the beach, literally just a few steps away from the water. ( 3 ) Village Center: is a community with a variety of residences including condos, villas, and bungalows. It includes its own amenities such as pools, gazebos, and children's playground. ( 4 ) Los Cocos: comprised of six buildings, housing a total of 36 apartments. These include 12 penthouses, complete with rooftop terraces. These exceptional apartments are located just steps away (less than 500 feet) from the magnificent Playa Bonita beach. Owners of Los Cocos apartments enjoy access to an exclusive clubhouse, private pool, children’s playground, and grilling area. ( 5 ) Lakeview: Just 300 feet from the beach, with stunning views to the lagoon and the hills, Lakeview is a community of two-bedroom and three-bedroom 'condo-hotel' units. They feature lock-off functionality, so that owners can rent out these units while keeping private space the way it should be. Lakeview will offer its owners full hotel service, concierge, room service and bellboys. 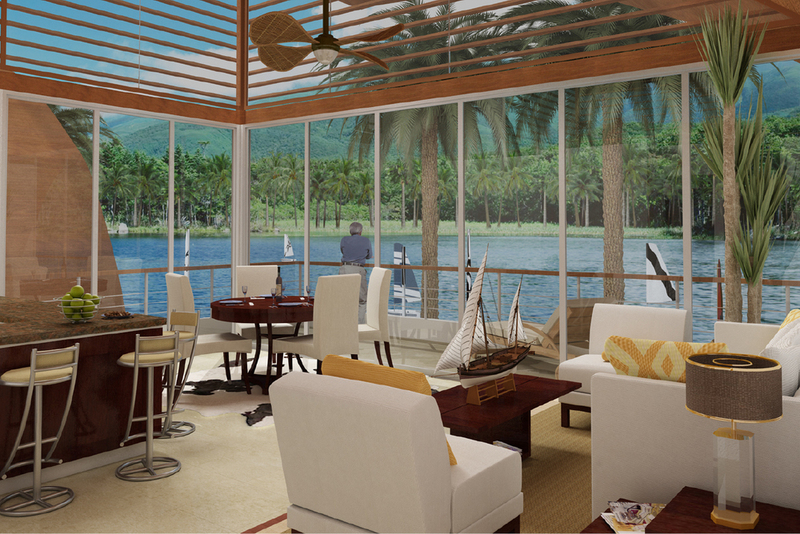 ( 6 ) Lago Apartments: it is a community of condo buildings facing the larger lagoon inside Playa Bonita. 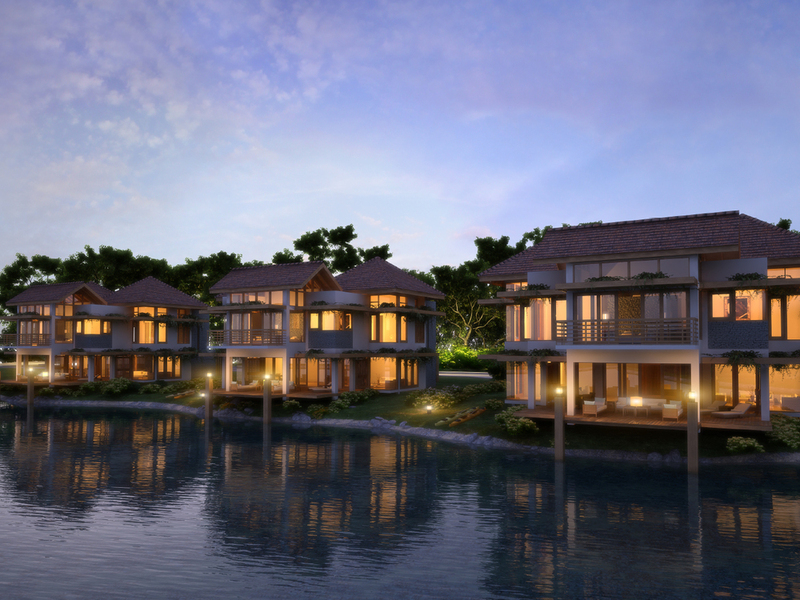 ( 7 ) Villas Lago: there are lots for 10 individual villas facing the larger lagoon. These three-bedroom and four-bedroom villas are exquisitely designed with top-notch finishings. ( 8 ) Colina Apartments: are condo buildings on the lower hill of the property. These overlook the lagoons and catch just a glimpse of ocean view. 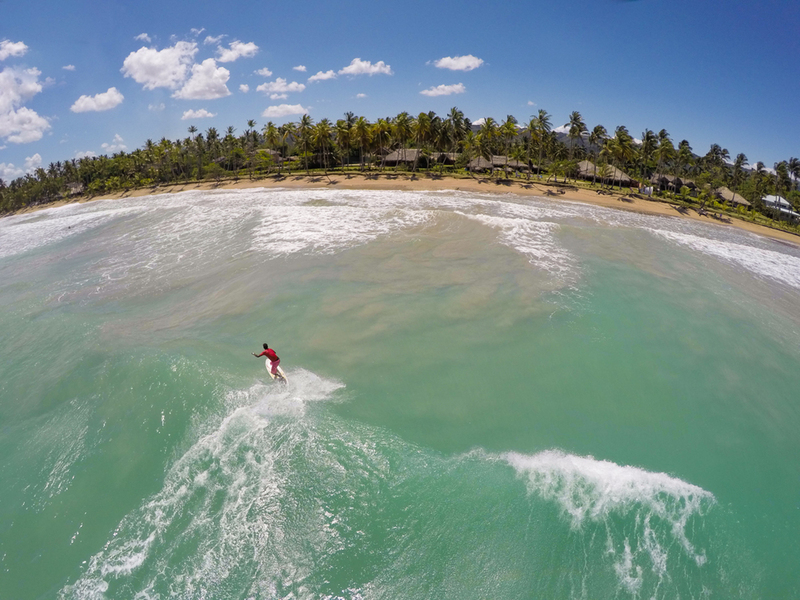 ( 9 ) Villas Colina: with just 10 master lots situated in the higher hills of Playa Bonita, we can build your custom dream home with the most amazing view. ( 10 ) Ecovillage: an exclusive 38-room luxury boutique hotel, designed with eco-friendly and sustainable materials, to minimize energy use and CO2 emissions. Playa Bonita, it is safe to say we have applied in our master plan the term community of communities, we don't want our facilities to be as the typical residences, fully crowded and without any privacy whatsoever, here at our beautiful condominiums, we have separated every area possible for your pleasure and enjoyment, we have our bar and beachfront clubhouse, our infinity pool, two ice cold lakes for contemplation, several sports courts in different locations throughout the property. We strive for exclusivity in every way we can. Playa Bonita has social areas with everything mentioned above included, all over the place. The predominant style in Playa Bonita Beach Residences is Caribbean Modern, with a mix of tropical elements. Interior design advisory by Sandra Ehlert, the leading firm in the design of spaces, interior design, construction management, remodeling rental properties and hotels of the Caribbean.